News | Page 39 of 40 | BetOTG | Bet On The Go! If you haven’t heard of the Virgin Brand where have you been? Sir Richard Branson’s Virgin empire includes Atlantic Air, set-top box Media Services, High-Street Banks he’s even shooting for the stars with Virgin Galactic, so it comes as no surprise that the entrepreneur has moved into the slots, casino and bingo industry with Virgin Games. Virgin Games is jam-packed with fantastic deals for new and existing players, lets take a look and whats on offer. BOFOF Bingo Tickets – Buy One Get One FREE! Tell-a-Friend and get £20 in your account! As well as this they have some popular offers and prizes which include Super Link Bonus prizes of over £20,000, Red Hot Wednesday where you can pickup cashback or free bingo throughout the day. Virgin have nearly 50 Slot games to choose from and include some famous names such as The Godfather, Deal or No Deal, Monopoly Plus and Elvis the King to name a few. For Casino they have the usual Roulette, Single and Multi-hand Blackjack, Video Poker and Baccarat, and a few alternatives such as Hi-Lo, Caribbean Stud Poker, Pai Gow Poker and Vega’s Strip Blackjack. Virgin Games is also available on Apple’s App Store, so you can play Hot Slots and Casino games on any iPhone or iPad. But fear not Android users! 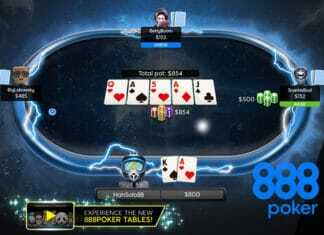 as you can take to your mobile phone and tablet and still enjoy Virgin Games on the go. Their website works perfectly well on any mobile browser and is very responsive. The menu options allow you to scroll through your favourite games with ease, the games themselves fit the screen and are quick to respond to any touch command. Virgin Games accept the usual banking methods such as Visa Credit and Debit card, Mastercard, PayPal, Laser, Neteller and Skrill plus many more. Virgin Games recent makeover is impressive (perhaps the owner should give it a go). In any case we were blown away with the quality of the site along with the general sitespeed and responsiveness on mobile. Add to this the new customer promotions and regular offer and Virgin games has positioned itself head and shoulders above the rest. JackpotJoy Bingo is jam packed with exciting Bingo, Slots and Poker games and has received many awards for customer and social media support from WhichBingo and EGR Operator. On top this they have a great tv advertising campaign with Bolton’s own Paddy McGuinness as the king of JackpotJoy Bingo. Refer-a-Friend and receive a whopping £100 into your account! As well as this they have tons of tv games such as Deal or No Deal slots, the famous Facebook game Bejeweled Bingo and Take Me Out – Date Night Slots and Bingo, with Take Me Out if you play a miminum of £30 on Take Me Out slots or £10 on Take Me Out Bingo you can earn 1 entry onto a price draw to win one of 20 romatic weekends away* Ends 1st March. The #BlueJackpotBalls Giveaway: This is a fantastic prize where you can win £300, all you have to do is simply take a photo of yourself in a fun pose with a blue ball and upload it to either Twitter, Facebook or Instagram and include the hashtag #bluejackpotballs for your chance to win* Entries between Mon 12th Jan – Sat 28th Feb.
SuperLinks: Come and play any of the following games at JackpotJoy Bingo: Cloud, Emerald, Tiki, Sapphire, Diamond and Bejeweled Bingo with £20,000 guaranteed Bingo prize money every day. Playoff Palace: Play in Sapphire room for your chance to scoop free tickets where you can join Barbara Windsor “the queen of JackpotJoy” in their brand new Playoff Palace game. Slots Cashback Bonus: Take a spin of the Daily Sale Wheel for your chance to receive 10% cashback bonus on our favourite slots which include: Tiki Totems, Winstones, Jungle Jump and Tiki Island. All you need to do is spin the wheel each day and place a minimum of £50 between Mon 23rd – Thurs 26th Feb for your chance to get some cashback. It seems that everyone is getting on the online bingo band-wagon these days and BetOTG has found the latest to join the party, which is the UK biggest and brightest daily newspaper The Sun. Sun Bingo is a bright and feature rich website using their traditional bold red to frame the content and with the same cheeky character as their newspaper, it has been awarded “Best Online Chat Team” and “Best Online TV Advert” by Which Bingo, as with most Sun Bingo have some exciting introductory offers and promotions. Mobile Mad Weekends: Start using your mobile phone each weekend with Sun Bingo and they’ll give you 10% Cash Back between weekend of 21st and 28th February. Breakfast Club Rewards: You can earn Love2shop vouchers by the new Breakfast Club. Refer a Friend: They believe life’s more fun with friends which is why they will give you £20 FREE if you refer one of your friends. Free Bingo: Who doesn’t like a free bingo game every Tuesday and Thursday and if you join Sun Bingo between 7am-10pm you can win up to £10 for 1-line, £15 for 2-line and £50 for a Full House. Free Bingo Learner Room: If you haven’t played Bingo before it can be abit daunting which is why Sun Bingo have created the Learer Room where new members can learn to play Bingo for free from 11am-1pm and 6pm-8pm for the first 7-days from your signup and chat to friends while playing in their chatrooms. The World is Your Oyster: Between 28th Jan and 4th March be in a chance to win an amazing £2,000 holiday fund! Get your Hand on a Meat Hamper: Every Thursday throughout February be in a chance to win a fantastic meat hamper, to be in for a chance all you need to do is play a min of £10 on Bingo, £30 on Slots or Slot Mini games or £30 on Casino or Instant Win. The Sun in an institution in the UK for cheeky articles and plenty of banter. That can’t really be said for Sun Bingo which is a pretty generic bingo site with The Sun brand name attached to it and very little character. There are far better bingo sites out there with more interaction and enjoyment than this one. Here at BetOTG – Bet On The Go we always have the radio on in the back ground while searching every bingo website to find you the best free bet deals around, so we were surprised to find out that one of our favourite radio stations – Heart Radio also have a bingo website called (not surprisingly) Heart Bingo. Deposit £10 today and get £30 for you to play! Earn reward points for every deposit you make. Journey Down-Under: Simply play a minimum of £1 between Monday 26nd Jan till Sunday 22nd Feb 2015 on any game and you will be automatically entered into a prize draw where you could win a once in a lifetime trip to Australia, and say “G-Day” to Jason Donovan’s family! Refer-a-Friend: Think your friends might be interested in joining the bingo fun? Well if you refer-a-friend via email or social media, Heart Bingo will give you a £20 bingo bonus (*friend needs to place a deposit of £10 plus a minimum total of £20 in their account to qualify for the £20 referral). Finally the more you deposit with Heart Bingo, the more you get back in rewards. Simply deposit £5 in Bingo or £20 in Slots to receive one reward point which can be redeemed into cash. Overall this is a quality bingo site from one of radio’s most iconic brands. We wouldn’t expect anything else bust spectacular bingo gameplay from this one. Home is definately where the Heart is. 32Red is a giant in the Casino and Poker world so it comes as no surprise that they’ve moved onto online bingo… you may have even seen their TV ads. 32Red Bingo is bright and interactive website with lots of enticing introductory offers for new customers and sooo many free bonuses and promotions you’ll have tons of bingo time to play. 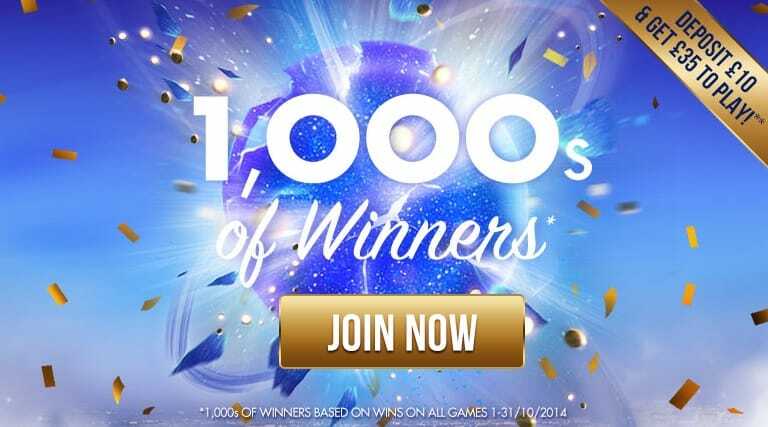 FREE £10 bingo bonus money in your account just for signing-up! 25% Re-Deposit Bonus: Receive 25% EXTRA FREE on every deposit you make after your first. Monthly Mega jackpot: Each month you could win a share of £1500 cash prize. Progressive Bingo Jackpots: With progressive bingo jackpots you can earn some serious cash, the jackpot increases until a lucky player takes it all, could it be you? As well as all of this they have some great Bingo Chat Bonuses which run every day where winners will be awarded FREE bonus money. Think your friends would be interested in joining the fun? Well if you refer-a-friend you’ll get £5 in BBz money, not only that but your friend will also get all the same free introductory offers and promotions as yourself. Valentines Day should be the most romatic day of the year, with flowers and chocolate arriving at your door in the morning from your loved one with a beautiful card describing how much he loves you, then being whisked away in the evening to your favourite resturaunt by candle-light followed by a night of passion. Unfortunately the reality for most is a card from the creepy guy that works in IT, followed by a microwaveable ready-meal for one, snuggled up to your cat while watching Eastenders! So if the Milktray man forgot to leave his chocolates at the foot of your bed, or the new 50 Shades of Grey film left you feeling like Bridget Jones with her big knickers eating out of a tub of Frankie and Benny’s on then fear not! at BetOTG we’ve hired a team of little cupids to help share the luvvv and find you the best Valentines Day bingo deals around. 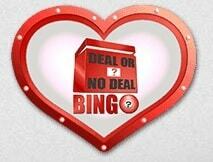 Top of our list is Ritzy Bingo who really want to share the love with the best Valentines deals available. 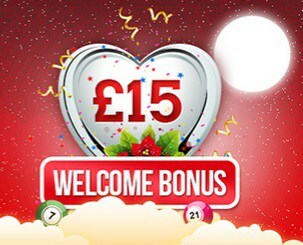 First off is the No 14 Valentines Day Special – where if you are playing a chat game in any hall or bingo on the 14th Feb you will claim a prize and receive 14 Bingo Bonuses. They also have the 2-in-1 Valentines Day Heart Pattern where you can win £30 CASH prize and a heart warming £3000 jackpot! On the day they also have a number of Valentines Day Torunaments: Win the most games in Party 75 or Party 90 on the 14th Feb and they’ll give you £140. Get yourself comfy this Valentines Day as Comfy Bingo have over ten special deals on, more than any other website we have seen! The list includes: Receive a FREE £15 Bingo Bonus just for signing up, Lots of cashback specials when you deposit money into your account you can receive up to 100% cashback on deposits from £100-£500. Getting 100 free bingo tickets just by following and liking them on Facebook. Also subscribe to their blog and get 500 FREE spins as a gift. Play the Break Time Quizzer and if your quick enough to answer the quest right and you could win 100 FREE bingo tickets. If you also refer a friend to Comfy Bingo they will give you £10 FREE in Amazon vouchers. Phew that’s enough free deals to keep anyone busy this Valentines Day! They also have some great deals going on throughout February too. Sky has one of the biggest Valentines Day jackpots on offer. If you play the well know TV game Deal or No Deal 90 Ball & 75 Ball Bingo from midday you can win a share of up to £150,000! Play Deal or No Deal 90 ball bingo for your chance to win £55,000 in guaranteed prizes plus an escalator jackpot of £75,000, it’s an offer not to miss out on. Be sure to check out Part 2 where the team here at BetOTG – Bet On The Go continue with our list of the best Valentines Day Bingo deals on the web. Party Bingo no longer provide us the option of promotion, as such we will divert you through to Posh Bingo. The team here at BetOTG – Bet On The Go; know how to let their hair down and have a good time after a busy week, but with Party Bingo you don’t have to wait for the weekend as its party time 24/7! Bingo Fiesta Room: Gives you daily five hours of bingo jackpots which pay out over £25,000 a month, with cards as little as 10p each you’d be crazy not to join in. Bingo Royale Room: This is another daily deal where Party Bingo will give you free cards as well as jackpots ever 10 minutes between 12pm-10pm with a pot of up to £1500. Mix and Match: If you fancy prtying through to the next morning Party Bingo have the Disco Diva’s deal between 8am-12pm where you can join the 30 ball bingo room and mix and match with cards as low as 2p! for your chance to win amazing prizes. Star Bingo Room: On weekdays from 10:30pm join the Stars Room for your chance to win a jackpot of £200. They also have a number of slot games such as: Hugh Progressive Jackpots, Melon Madness and Gold Mega Jackpot. As well as this they have some great well known on-line games including: Cluedo, Monopoly, Cleopatra, Wheel of Fortune and Sands of Fortune. And to celebrate Eddie is offering you a £20 FREE Welcome Bonus credit when you signup with a £10 deposit! Spin the Wheel for an extra bonus between £5 and £2500! Supermarket Sweep: During February Eddie is offering you a chance to win up to £100 in supermarket shopping vouchers. Monday Madness: Every Monday between 4-7pm Elf Bingo switch all the 1 line and full house prizes around in the Lucky Stars room! Friday Night Takeaway: A chance to win up to £50 of your favorite takeaway delivered free to your door every Friday at 8pm. Lucky Lotto: Where you can pick 3 numbers to join the lotto draw in the Lucky Stars room every Wednesday at 7pm. Party Night: At The Bingo Party every night is party night but every Friday they give away LOADS of Loyalty Points and hold special chat games. Weekend Wad: You can win a share of 250k points when you pick a golden number and happen to win a full-house during that weekend. With all these amazing deals and introductory offers we’re sure Eddie the Elf will keep you entertained for a long time, you can signup by clicking the live banner or CLICK HERE to get you going with Eddie. 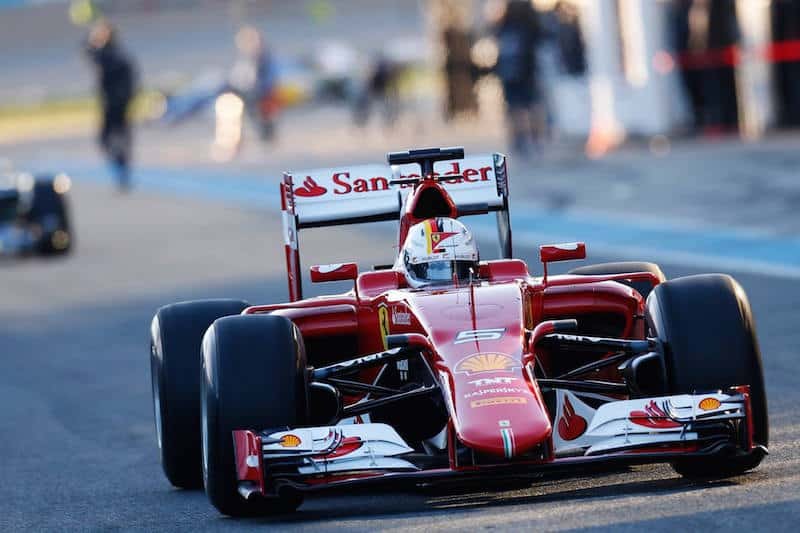 F1 2015 pre-season testing: What have we learned from Jerez? As the first session of of pre-season testing comes to an end in Jerez, what have we learned about the performance of the new 2015 F1 cars and which of the teams have made grounds on the ever dominating Mercedes Team? Not all the teams were there for the first of three pre-season testing before the season begins. Mercedes have started where they left off the end of last season – with a very impressive complete package. Both drivers have clocked up approx 160 laps for each of their sessions – more than any other team, the car looks very well balanced going into and out of corners and both Lewis and Nico Rosberg commented on the how well the overall handling of the car was. following the third day Daniel Ricciardo was pleased with the testing they had done but insisted it was too early to say whether they had made grounds on the Mercedes car. The renewed McLaren-Honda relationship started off with a whimper, with the car some 18 seconds off the pace of the Ferrari on the first day of testing but throughout the week the car continued to improve with both Alonso and Button completing 6 laps each on Tuesday and on the final day Alonso was able to complete a total of 32 laps before a water leak ended his testing but he reported that the team had made a big steps forward during the four days. Ferrari will be particularly pleased with themselves as Vettel topped the first days testing times and the car has stayed towards the top end throughout the past four days, Kimi Raikkonen also commented on how much of a significant improvement the new SF15-T was compared to the previous year, he ended finishing the fourth day on top of the times. The teams will move to Barcelona for the second pre season testing which starts 19th February, get all the best odds now before the season starts at the link below. Yesterdays end-of football January Transfer Window almost went unnoticed if it wasn’t for a couple of key players bought by the top two in the Premier League. In fact year on year spending has continued to stagnate around the £130M mark. 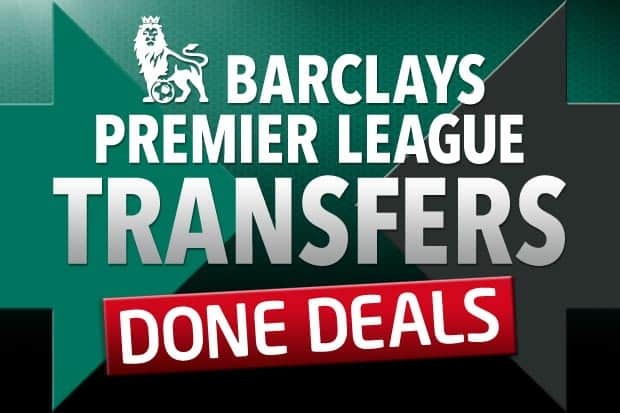 Chelsea’s £24M signing of the Colombian winger Juan Cuadrado from Fiorentina was the biggest deal of the day. They also made a profit by selling Andre Schurrie for £22M to Wolfsberg. Most of the main deals from Chelsea’s rivals had already been done with Manchester City moving early in their purchase of Swansea striker Wilfred Bony for a fee of around £28M. Arsenal looked to strengthen their side to increase their chances of staying in the top four at the end of the season by signing defender Gabriel Paulista on the weekend from Villareal for around £12M. It was fairly quite up north in Manchester with City having already done their deal to bring Wilfred Bony from Swansea for a fee of around £28M. Liverpool were fairly quite during the Janurary transfers with Liverpool boss Brenden Rogers more pleased with the return of striker Danniel Sturridge to boost the team, there had been rumors of Man City midfielder James Milner moving to Anfield but it looks as though he’ll be staying at City for the remainder of the season. The most surprising signing of the window came from Manchester United who signed young 21-year-old defender Andy Kellet on loan from Championship side Bolton. Midfielder Darren Fletcher also moved from Man United to West Brom, Fletcher admitted the that Man U did not want the player but with a permanent place on JVG’s side he is more excited about the challenge ahead at West Brom. Further down the table Southampton took midfielder Filip Djuricic on loan from Benfica and bought Ryan Bertand from Chelsea. Tottenham also loaned right-winger Aaron Lennon. Crystal Palace were the team of the day bringing four new players to the club which includes winger Wilfried Zaha from Man United and midfielder Lee Chung-yong from Bolton.